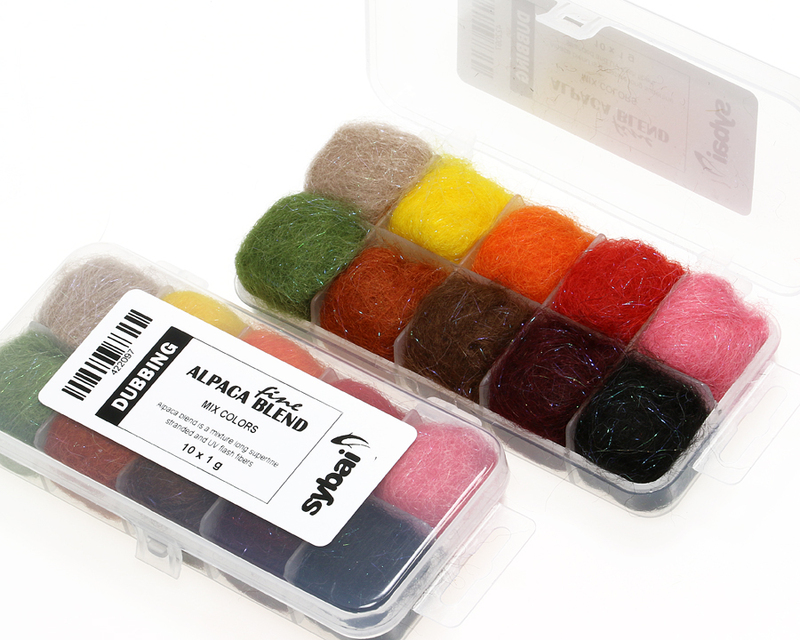 Alpaca blend is a mixture long superfine stranded and UV flash fibers dubbing and very easy to work with. Mix it with a little cdc floatant to get superb floating flies because many strands are hollow. Use for body, winging as a replacement for hares ear or bucktail.